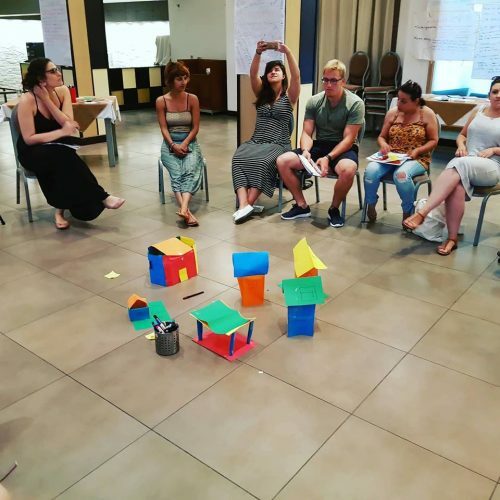 Ticket2Europe sent 3 participants and 1 trainer to an amazing training course hosted by Prisms Malta, in the beautiful tiny country of the Mediterranean. 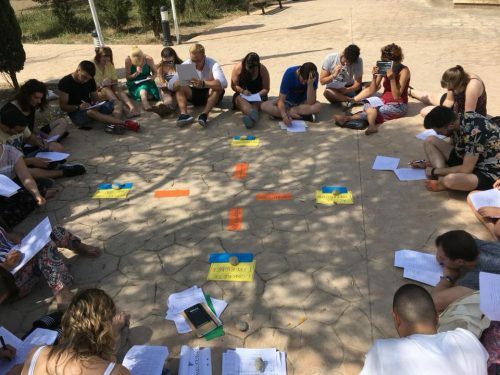 During 8 days of intense training, 24 youth workers from Spain, Malta, Poland, Greece, Croatia, Lithuania, Moldova, and Norway gathered together to learn, to experience and to improve. The topic was leadership. Since this word can cover way too many things, let us show you how exactly the participants led themselves to leadership, by giving a brief summary of each day. Day 1 was a quite a usual opening day of a training course. Participants got an introduction of the project; they were informed about the schedule and got to know more also about Erasmus+ specialities as well as about learning competences. In the afternoon they had the chance to build their team through different kind of activities. Day 2 and Day 3 was a deep dive into the topic of leadership! 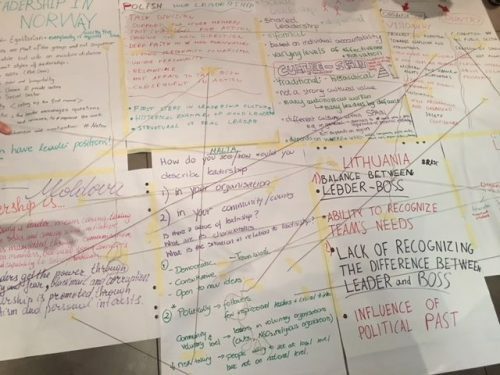 Participants from 8 countries started the morning by reflecting on leadership within their own cultures, countries, and organizations, and were able to analyze similarities and differences between them all. Next, they had an introduction to leadership session where they defined leadership and the qualities of a leader. 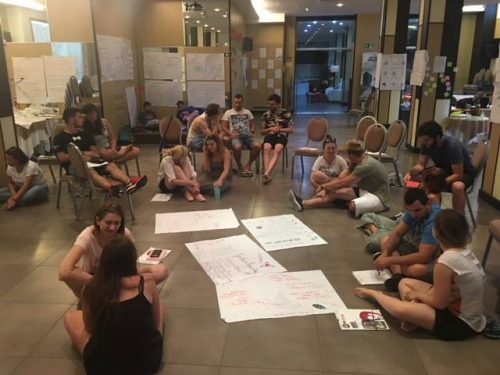 In the afternoon they dove into the 6 different emotional intelligence leadership styles by Daniel Goleman and connected them to the 9 different learning styles by David Kolb- participants found a lot of connections and were able to draw rich conclusions about themselves through the process. Finally, they had a leadership simulation about community decision planning which put participants out of their comfort zone a bit but certainly helped stimulate their learning about leadership. Day 4 was about leadership soft skills. In particular: vulnerability, self-esteem, responsibility, integrity, and resilience. Participants were encouraged to go outside of their comfort zone, and it was quite an emotional day, although a fruitful one with lots of learning! Keep up to date with the rest of the training! Day 5 was feedback day! 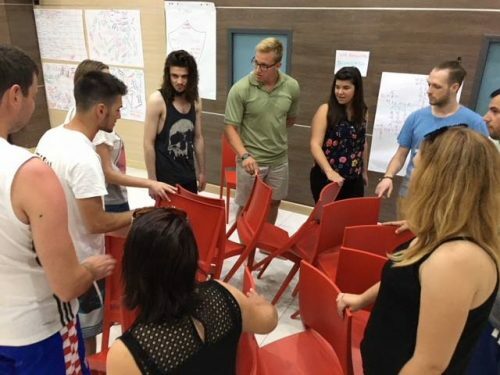 Participants learned the art of giving and receiving feedback and its crucial significance for leadership through a variety of experiential learning methods. In the morning, participants learned 6 different feedback methods and then performed skits based on real-life experiences in their workplace to showcase the dos and dont’s of feedback. In the afternoon, they took a more personal approach and using the Johari Window method, participants were able to give each other personal feedback which was difficult for some, but certainly eye-opening. Day 6 was hard skills day. Participants learned about effective communication, decision making, creative problem solving, and conflict resolution all through fun and experiential activities! Day 7 was practice day! In the morning participants held Open Space Sessions where they could discuss, question, and teach one another about more leadership topics connected to their experience (there was even a leadership in juggling workshop!). 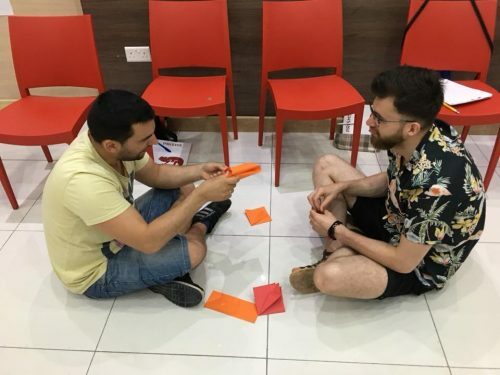 In the afternoon, the participants broke into groups and worked hard on planning and designing their own leadership workshops, which they later successfully delivered to youth and youth workers from Malta. For many, it was a very challenging but rewarding day which helped participants put into practice the skills they developed during the training course, such as how to work effectively with different learning styles, adaptability resilience, problem-solving, decision making, effective communication, and much more! We are so proud of all the teams!!!! Day 8 was evaluation and celebration day! In the morning we went down memory lane and remembered ALL the things we learned and experienced this week together. Participants made personal leadership action plans for how they plan to apply the competences they learned in this training course when they return home. They also made their own dissemination plans for how they will share the experience they had here with others. In the afternoon, in our evaluation and feedback session, participants used Dixit cards with images to elicit metaphors and visual connections for their time and experience here in the training. Participants spoke about all the knowledge and skills they gained, how they have developed their own self-esteem, built long-lasting relationships with individuals from different cultures, view leadership differently now, and much more. It was a fruitful experience for both the trainers and the participants and we couldn’t be happier with the final result! 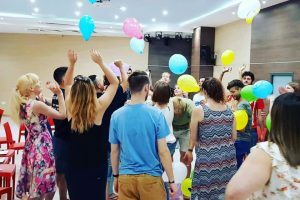 In the evening, the organizers felt participants deserved to be rewarded for their amazing effort and the whole team (organizers, trainer & participants) finally got to experience the beauty Malta has to offer. Prisms Malta organized a boat cruise to take everyone to Camino and Blue Lagoon and they had a wonderful final farewell party there to close the program!